Earlier this week we received an out of the blue announcement from Respawn Entertainment, the developers of Titanfall. No, it was not the next instalment in the series. Instead, a free-to-play battle royale was revealed. 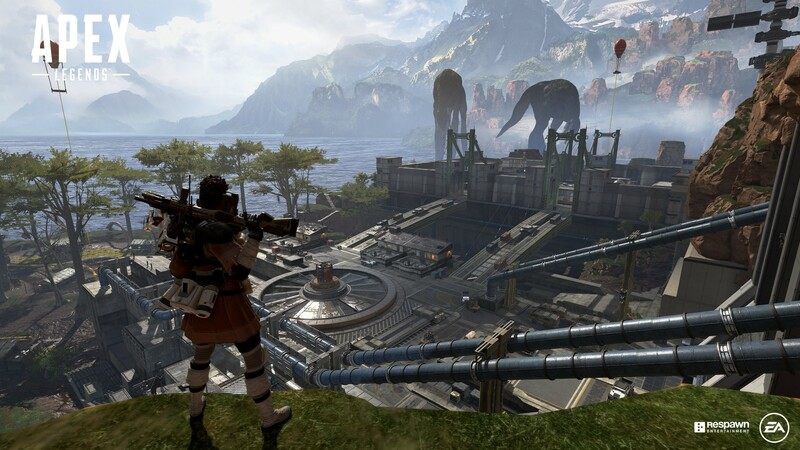 Although part of the Titanfall universe, Apex Legends is a stand alone game that stands out from the typical royale mode through its team-based formula. Rather than a 100 player free for all, 20 teams are formed with 3 players and must battle to the death. Many mechanics of a battle royale remain the same in Apex Legends with players needing to scavenge for weapons at the start of a match. However, each characters plays a unique roll with their special abilities and ultimate’s that charge over time. One welcome addition to this battle royale is the ping system. If you’ve ever played an online team game, you’ll often run into some form of toxicity or bitter players. Apex Legends provides an intricate communication system where you don’t have to actually talk to your team-mates. Rather, you ping locations and objects to draw their attention. Although not as speedy as a headset, still handy if you’re not much of a talker. It seems that all kinds of players are sharing praise for Apex Legends and the game has even managed to break 1 million unique players within 8 hours of launch. Quite the success for a game that came out of the blue. Even PlayerUnknown, the father of modern battle royales, shared his congratulations to the team at Respawn over Twitter. Of course, a game still needs to make money and Apex Legends is no different. With micro-transactions and in-game purchases, you’ll be able to invest in cosmetics items and loot boxes. Two characters also need to be unlocked through currency, although you can use in-game currency earned as you play to purchase them. Respawn will integrate a season pass to Apex Legends, as seen in the incredibly popular Fortnite. No prices have been revealed just yet, but it shouldn’t be too long before we find out. Are you playing Apex Legends? Let us know what you think of the game in the comments below!